20-year-old Harajuku girl in an off-shoulder top, pleated maxi skirt, booties, and crossbody bag. Japanese duo showcasing purple hair and casual-cool streetwear styles while out and about in Harajuku. 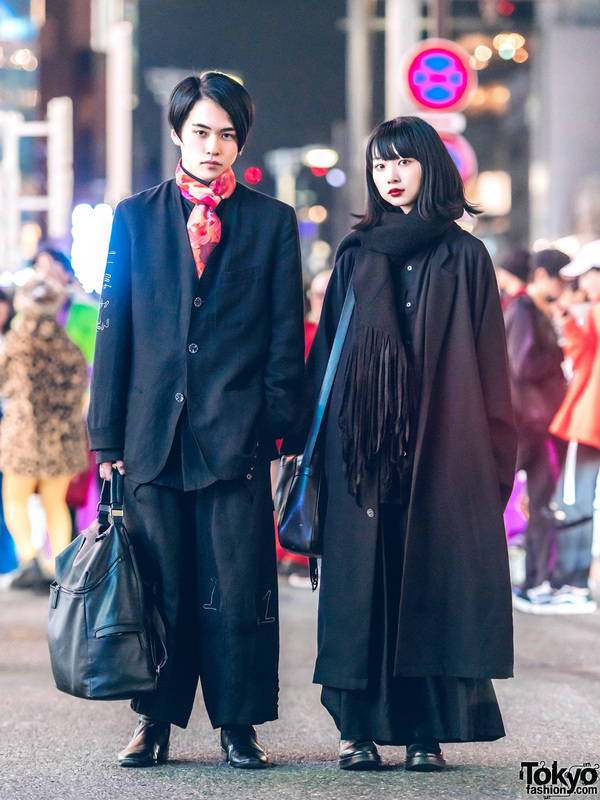 Stylish Japanese duo in striking all-black looks while out and about in Harajuku. Japanese student showcasing all-black vintage street fashion in Harajuku.